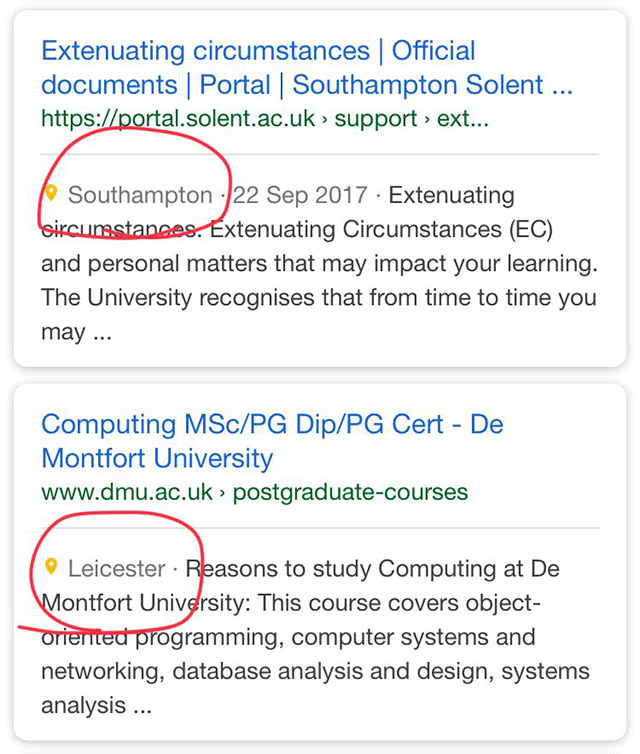 Google Testing Yellow Map Pin In Search Results Snippets? Home > Google News > Google Maps > Google Tests Yellow Map Pin In Search Results Snippets? Aaron Dicks posted a screen shot on Twitter of a weird Google search result snippet, it shows a yellow map icon/pin in the mobile search results snippets. The query and testing done to spot this was also weird, and I cannot replicate it, so I am not sure how this was triggered. You can see under the URL and above the description/snippet is a yellow map pin with the location and other secondary information. Again, I cannot replicate this - have you seen it before?